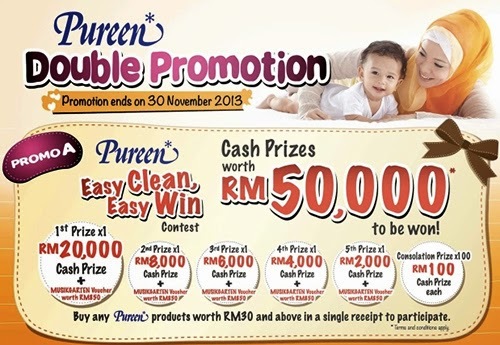 Buy any Pureen products worth RM30 and above in a single receipt. Send the contest form with attached receipt to the address stated in the contest form. Visit Pureen Facebook fan page for more details.